Best practice tips and resources to help manage your WordPress website. WordPress 5.0 is a big deal! Why? Because it includes a new interface for writing and editing your Posts and Pages. 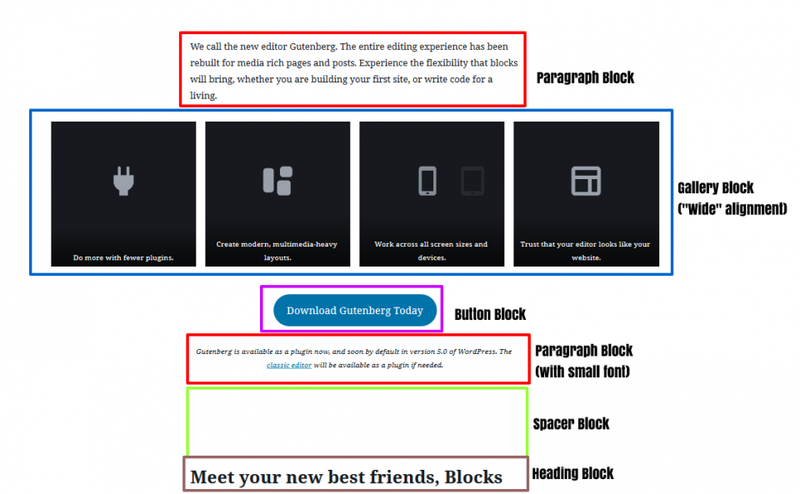 After more than two years of development, this new “block editor” (codenamed “Gutenberg”) is now available when you upgrade to WordPress 5.0. Keeping WordPress up-to-date is a crucial habit for maintaining a healthy site. Upgrading to WordPress 5.0 is just as important as any other update for the new security patches and bug fixes. Luckily, you can choose to update WordPress but continuing using the old editor with the Classic Editor plugin. (After installing, be sure to go to Settings > Writing and disable the Block Editor for all users.) If you have an existing site with lots of content, I would recommend you use this plugin until WordPress 5.1 is released before considering the new editor. Many plugins and themes are still working toward full support, and a bit more time will likely make your transition smoother. Even with the Classic Editor, it’s worth being cautious about this update, so consider doing a full round of testing to understand how your site works with the new editor before doing this. Paragraph? That’s a block. List? A block. Quote? Also a block? Columns!? Blocks in blocks! When you’re working on a blog post or page, you’ll do well do think in blocks. Based on the stated future plans for WordPress, blocks will only get more important in the coming years. Learn to see the blocks that your page is built of. I’ll admit, I’m preferential to just the first of the three, but you should try out and explore all three. This article from WP Tavern walks you through these options in more detail. There’s nothing wrong with only dipping a toe into the editor at first. Luckily, our friend “Classic Editor” makes this easy to do! Beyond the ability to disable the new block editor completely, you can also provide editors the option to choose which editor to use. Once you’ve tested your site (see #1) and know there are no major issues, consider using the block editor for new blog posts and pages, while still using the classic editor for day-to-day content maintenance. One final “half-way in” option is to use the new block editor but only with a single “Classic” block. What’s the Classic Block? More or less, it’s a way to use the old editor inside the new one. When creating a new post, instead of creating a paragraph, add a “Classic” block and then do all your work in it. The Classic block is a perfect way to start using just a few blocks at a time. For instance, you could have two classic blocks sandwiching the new Gallery block and a button block. As you try out the block editor, this is the first “power user” tip to know. When the block you want is highlighted, hit RETURN and your new block is ready to go! We’re all still learning about WordPress 5.0 and the best way to use its new features! There will almost surely be hiccups along the way, but you can start learning about, trying out, and starting to use the new block editor on your website today! Mark Root-Wiley builds websites for nonprofits in Seattle, WA. He created Nonprofit WP to be the go-to resource for nonprofits building and maintaining their own WordPress websites. 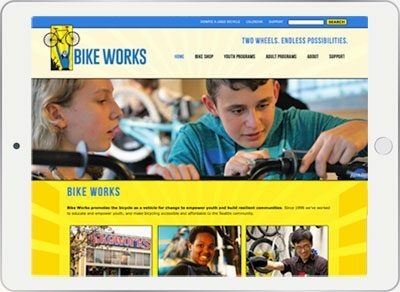 Check out NonprofitWP.org for tips on planning websites, recommended themes & plugins, blogging best practices, and more! Well, duh. Go straight to the source – get answers from Automattic and other open source contributors. Are you a visual learner? Browse thousands of videos on beginner to advanced topics. Join over .5 million members who belong to 1,459 local Meetups. Find WordPress Meetups in your area. Lisa Sabin-Wilson’s 8th edition since 2007. For WordPress Authors to Administrators, you can read chapters related to CMS topics that interest you. Powering 32% of all websites, you may find helpful resources right around your corner! If your website is hosted on WordPress.com or you purchased a third-party commercial Theme, some support resources may not apply to you. Seattle WordCamp is this weekend at the Washington State Convention Center at 705 Pike Street. Weekend tickets are still available for $40. Understand what donors care about – and make them the hero. Don’t talk just about your needs. The time-honored adage in fundraising remains true. Donors don’t fund organizations that have needs. They fund organizations that meet needs. Talk about the need in the context of what the donor can do to fix the problem. Use ‘you’ and ‘your’ more than ‘we’ and ‘our’. Communicate without asking for money. Your stewardship communications should out-frequent your solicitation communications by at least two to one, preferably even more. Organizations that communicate solely with their hand out risk losing valued donors. Thank-you letters, e-newsletters and emails, print newsletters, personal thank-you phone calls, holiday cards, love notes from clients – all can make a real difference in keeping donors in the fold. Tell stories that illustrate donors’ impact. Storytelling inspires bigger gifts! Let the people you serve illustrate how much the donor achieved. Posted in Communications, Marketing, Take 5Tagged Moore Ink. I field this question a lot, too often, from smaller clients, particularly those using shared hosting platforms. 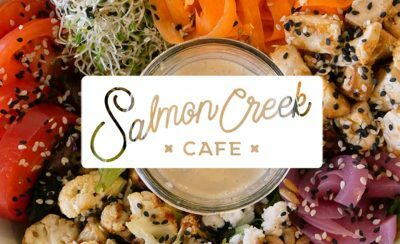 User error – such as misspelling your email address. Internet email system is a non-confirming delivery protocol. This means that there is no guarantee that an email sent from you will be delivered to the intended recipient(s). (Text messages are even worse – do not get me started) Do not assume email will be delivered to a recipient if no “undeliverable” message is returned to you. Email can be blocked due to a blacklisted IP Address, too many spam trigger words/characters in an email, etc. Prior to 2014, up to 90% of all email was spam, mostly related to pharma drugs. ISPs use tools like the federal CAN-SPAM Act of 2003 to fight spammers thru lawsuits. Today, almost 50% of all email is still spam. In 2018, alleged spam kingpin Peter Yuryevich Levashov (‘Severa’) was extradited to the US and pleaded guilty to federal hacking and spamming charges. This 37-year old Russian computer programmer is thought to be the world’s most notorious spammer. Globally, only 1 out of 5 emails do not reach its intended recipient. As much as 80% of spam received by Internet users in North America and Europe can be traced to fewer than 200 spammers – with 20% originating from the United States. Obvious terms such as Viagra increase the chance your email will be filtered. Excessive punctuation can also trigger spam filters. If you need to send emails to > 25 recipients – try Campaign Monitor, Constant Contact, MailChimp, or Vertical Response. Ok, I know that last one has nothing to do with email. But if you need to guarantee your message reaches its audience, then nothing is more effective than 2-way communication.